Skyflakes with a pat of butter. Having this for merienda was enough to please Sen. Jovito Salonga. See, I didn't just lose one of the most brilliant, if not the greatest, statesmen our country has ever seen on March 10. I also lost my dearest uncle. He was a simple man who didn't ask for too much. Experiencing life's simplest of joys always thrilled him. He enjoyed flashing his senior citizen's ID card any chance he got. Whatever the benefits his seniority afforded were satisfying to him. No additional perks or any preferential treatment necessary. 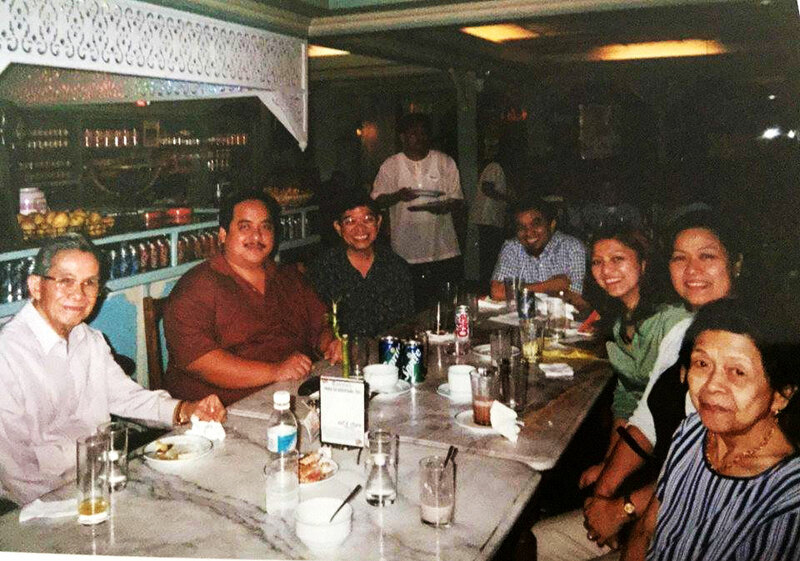 The four older Salonga brothers—his Kuya Isayas, Diko Ben, Sanko Serafin, and Ka David (my father)—were especially protective of their bunso; they'd do everything for him. My dad, for example, would risk getting arrested just to supply Tito Jovy, who was imprisoned during the Marcos regime, the latest news clippings and magazines from the outside. When my uncle went into exile, my Dad never stopped talking about him, his plans, and activities to keep our family updated, doing so always with concern, love, and pride. Undoubtedly, my father wanted all of us to be like Tito. He'd usually bring me to Tito's office to brag about my accomplishments in school. I used to feel small in his presence, but I guess my father only wanted me to be inspired by my Tito's many achievements. 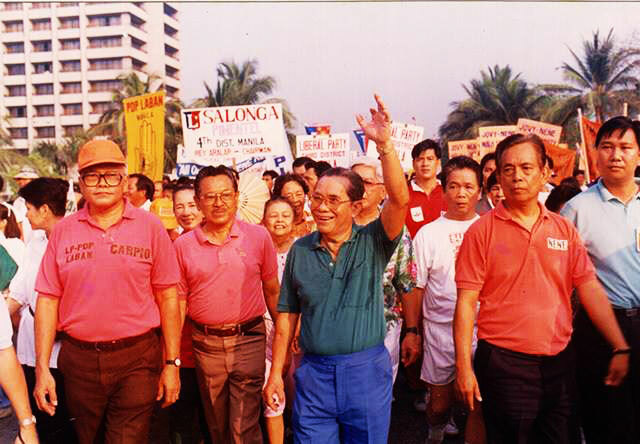 But Tito didn't want any of us to be like him, he wanted us to pursue our own path. He was just a beautiful soft-spoken man who was content doing what every loving brother or uncle would do: encouraging all of us to learn from his experiences. He was an inspiration to all, an intelligent, honest, and genuine man of God with solid integrity and unshakable love for others and our country. It was also in his nature to give. There's a room in the Kilosbayan house in Mandaluyong filled with books which underprivileged aspiring lawyers could borrow and read. They could also use the computers there for their studies, and were encouraged to participate in computer lessons conducted by Tito's son, Kuya Eddie. What would he say to millennials if were alive today? I believe he'll encourage them to serve God well and do the right thing all the time. He will tell them to always nurture the good seed that lies in each of us. That to him is key to nation-building. We have to be accountable for our actions. 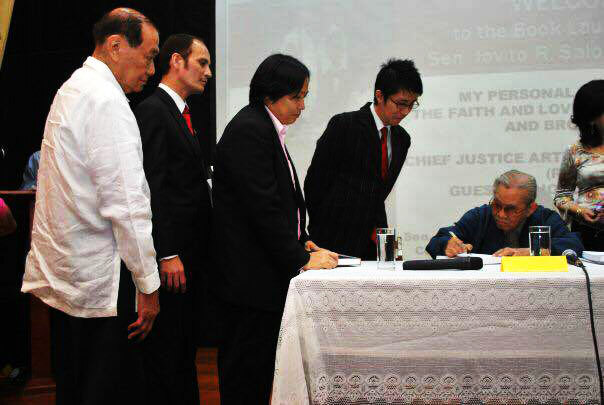 Our nation will be in a better place if we always allow ourselves to be guided by our conscience and faith. Public office to him is service not achievement, a commitment rather than an entitlement. "After two failed bids for the Senate, I sadly told him in the privacy of his home that I was giving up politics, because as I saw it, the only way to win was to play it rotten and dirty. Looking at me straight in the eye, he told me that the problem with our country is that good men and women get tired of being good faster than bad men and women get tired of being bad." 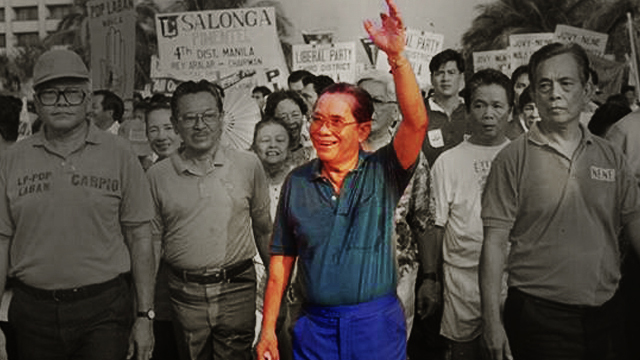 It's time we celebrate his life as Tito Jovy joins his parents, brothers, and beloved wife in heaven. He served his family, his country, and, most of all, our Lord well. He will live on in our hearts forever. Bless is a freelance writer based in Sydney, Australia.